Junior Davis Cup time again. 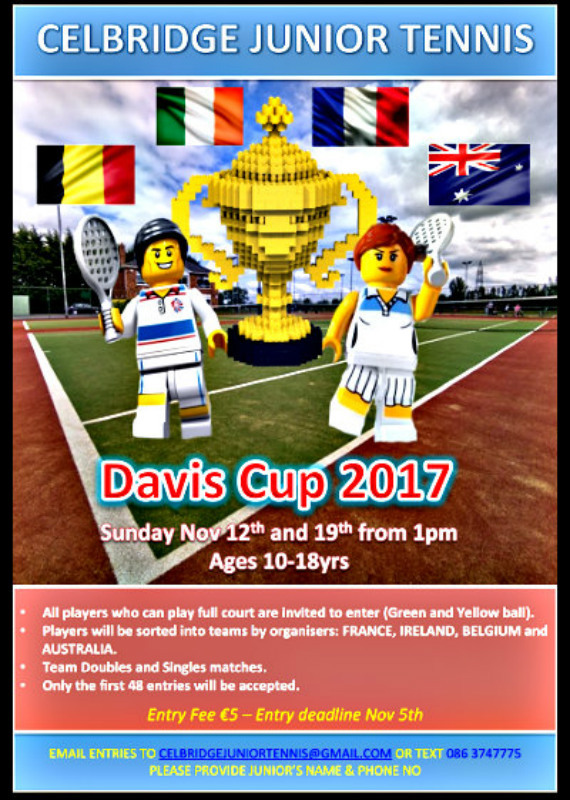 Davis Cup competition will be run on Sunday the 12th and 19th november 2017 from 1 pm. Competition open to members aged 10-18 years. This entry was posted	on Thursday, October 26th, 2017 at 3:19 pm	and is filed under Club News. You can follow any responses to this entry through the RSS 2.0 feed. Both comments and pings are currently closed.